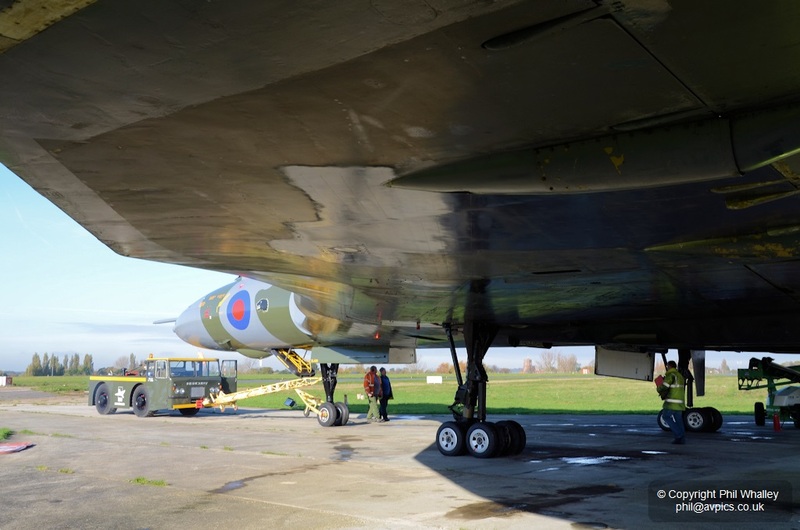 On 16 November the Vulcan Restoration Trust carried out the first engine runs on XL426 since March of this year, a run planned to give the engineering team the chance to test and carry out some of the jobs that require hydraulic pressure available with the engines running. 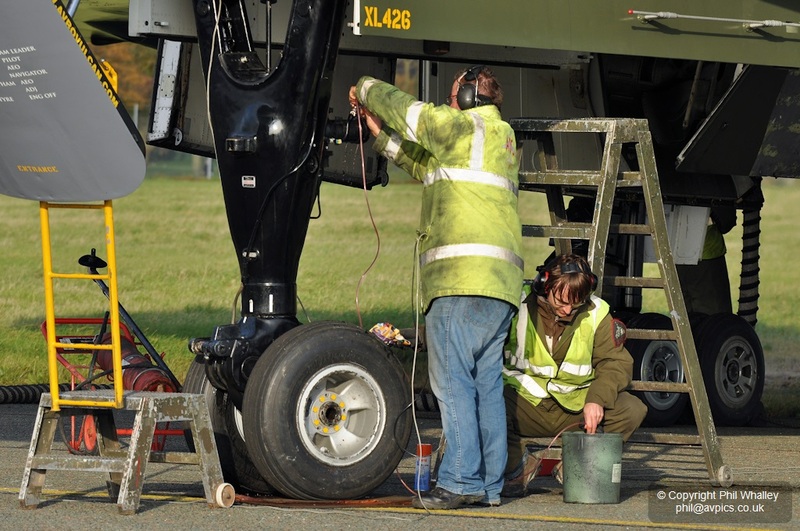 The on-going ‘Return to Power’ program is approaching the Trust’s goal of a fully high-speed capable aircraft, with recent work focussing on the undercarriage, braking systems and nose wheel steering. 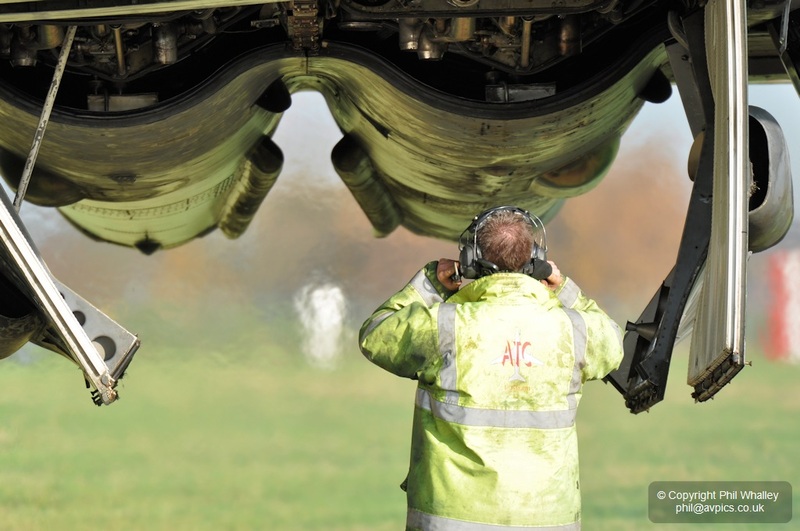 The delay between engine runs is partly down to the strict procedural requirements now in place at the continually expanding International airport. 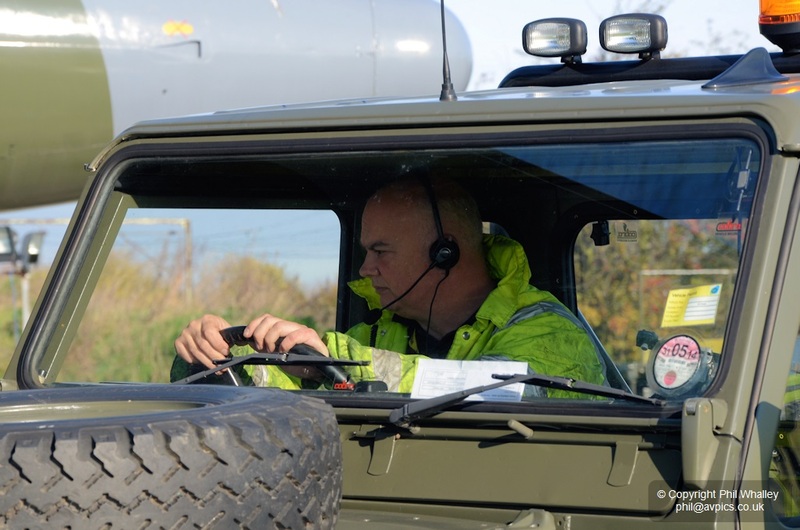 The Trust’s airside vehicles have to meet specifications, and members of the team have to be trained and cleared to operate airside. 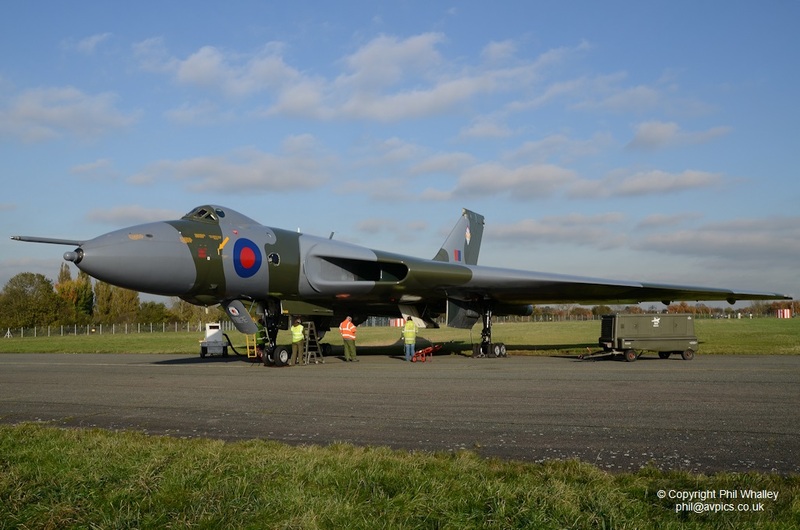 Also there is now a limit on the locations on the airport where engines can be run, requiring that the Vulcan be towed to the north side of the airport, and this couldn’t be done until the Trust’s tug had been brought up to acceptable standard. 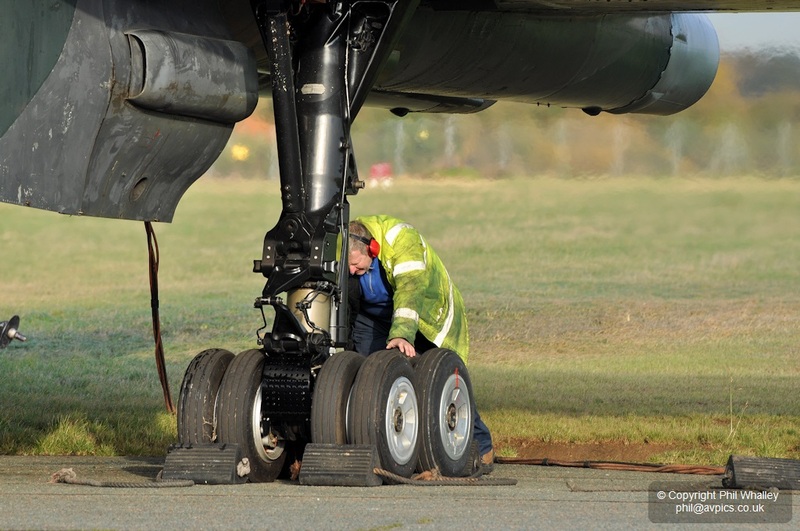 Once airside one of the planned jobs was to bleed the recently refitted nose-wheel steering. 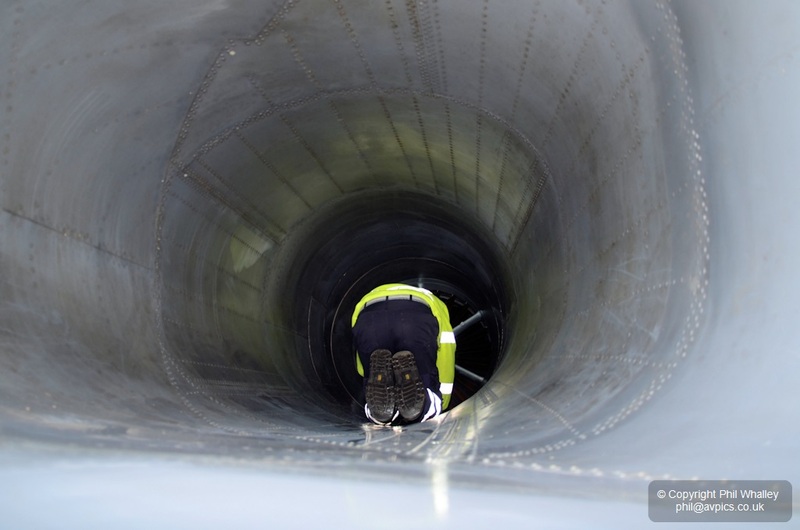 To do this requires a greased steel plate with another plate on top. 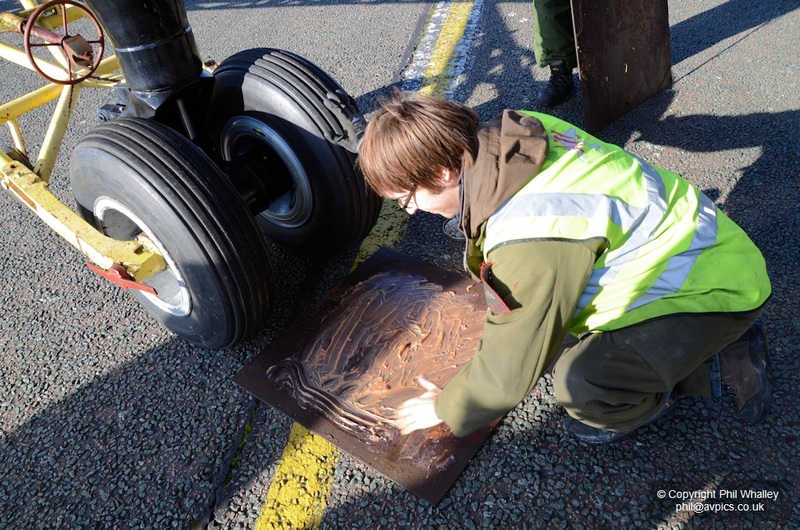 Once the nose-wheel is positioned on the plates the steering can be operated and the system bled. 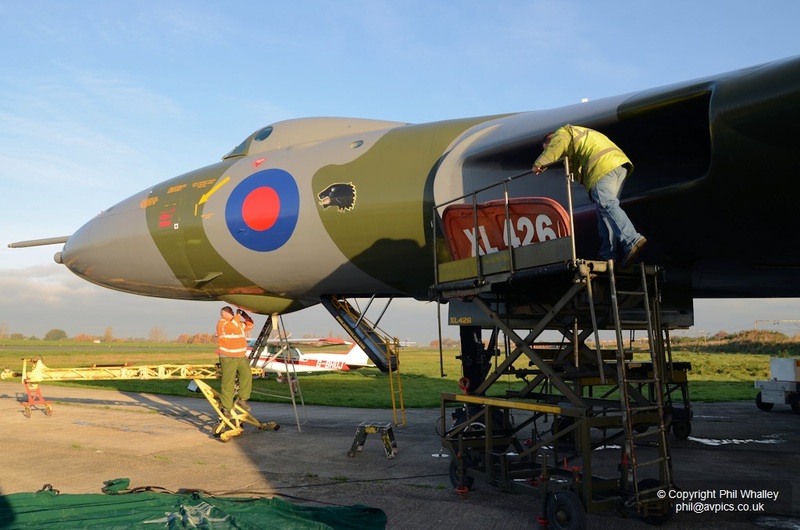 The Vulcan Restoration Trust is a registered charity in need of the public’s support. 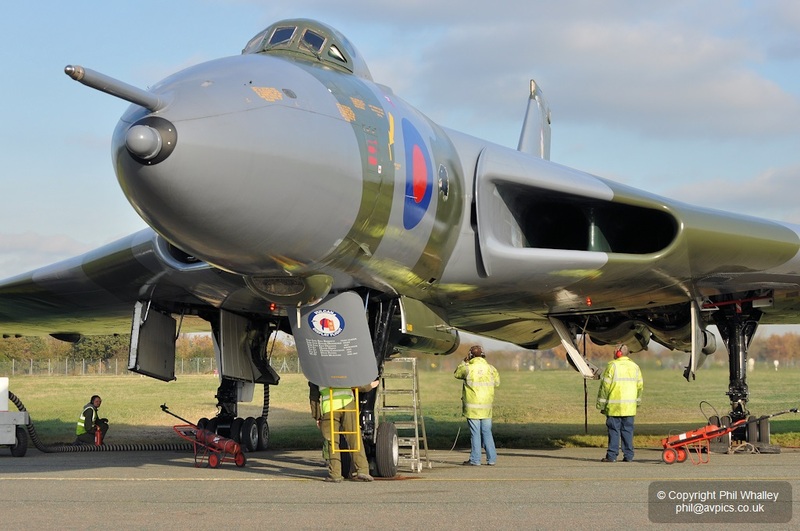 Please visit their website http://www.avrovulcan.com/ to see how you can help. 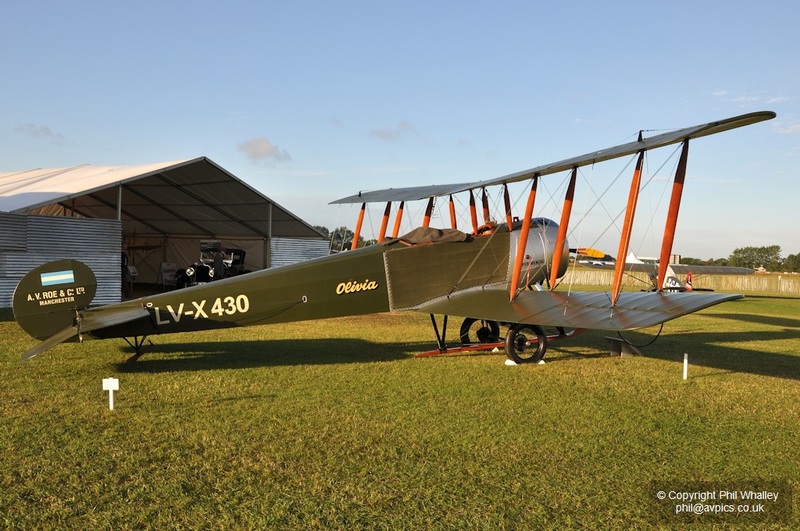 A surprise exhibit amongst the aircraft on static display in the Freddie March Spirit of Aviation enclosure at the Goodwood Revival was airworthy Avro 504K replica LV-X430 ‘Olivia’. 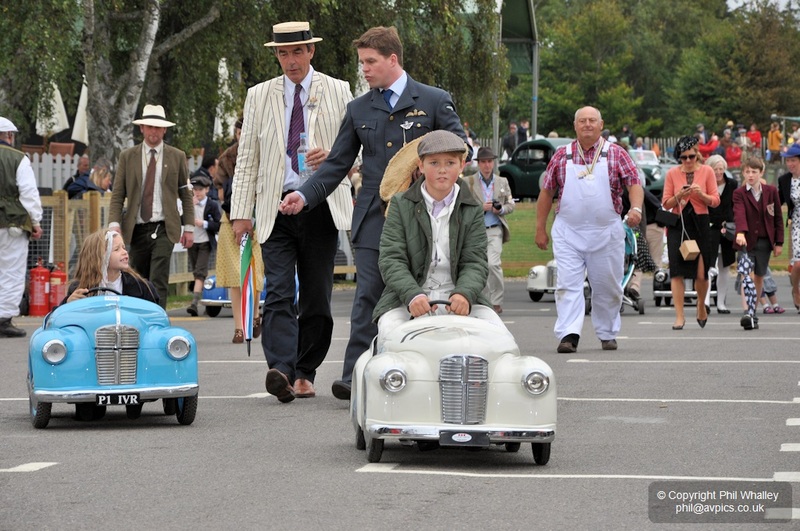 It was built by Argentinean company Pur Sang Aero Historic and was their second build of the type. 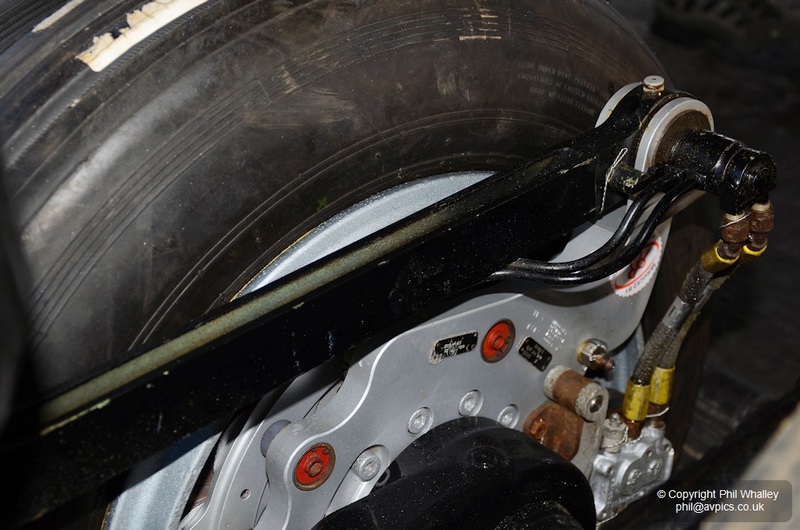 Pur Sang is a restoration company with a background of producing and restoring classic and vintage performance cars from the thirties through to the fifties, such as Bugattis and Alfa Romeos, and are located at Paraná City Airport. 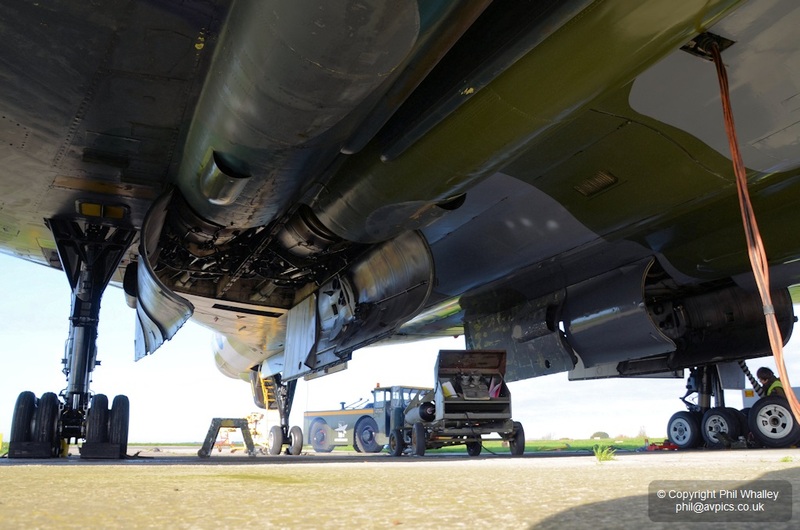 “The idea of producing classic aircraft came from working every day alongside the Second Brigade Air Force. We have to do something that flies” said the company president Leonidas Jorge Anadón. He chose the Avro 504K as a subject due to the type being the first aircraft to be manufactured (under licence) in Argentina. The Fábrica Militar de Aviones – FMA – (Military Aircraft Factory) of Córdoba built around 34 Avro 504s from 1928. The first replica built – serial LV-X373 – made its maiden flight in February 2009 and went to Jerry Yagen’s Virginia based Military Aviation Museum. It was subsequently sold on to the Russian Federation as part of the museum’s down-sizing, which was underway at the time. 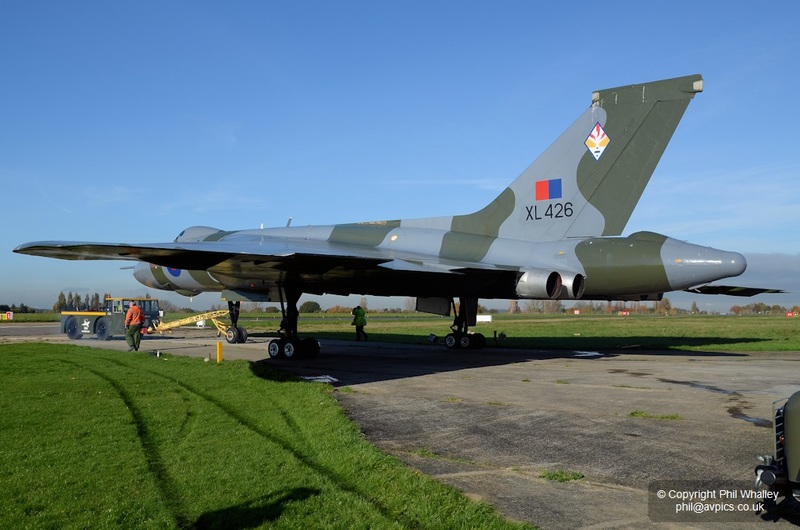 MAM have since recovered and are no longer selling off any further airframes. Both replicas are powered by Rotec R3600 150hp radials, and three further examples are under construction. LV-X430 took to the air in November 2010 and is still owned by Pur Sang. It is being handled by Personal Plane Services of Booker whilst in the UK and is currently up for sale. It will return to Argentina if unsold. 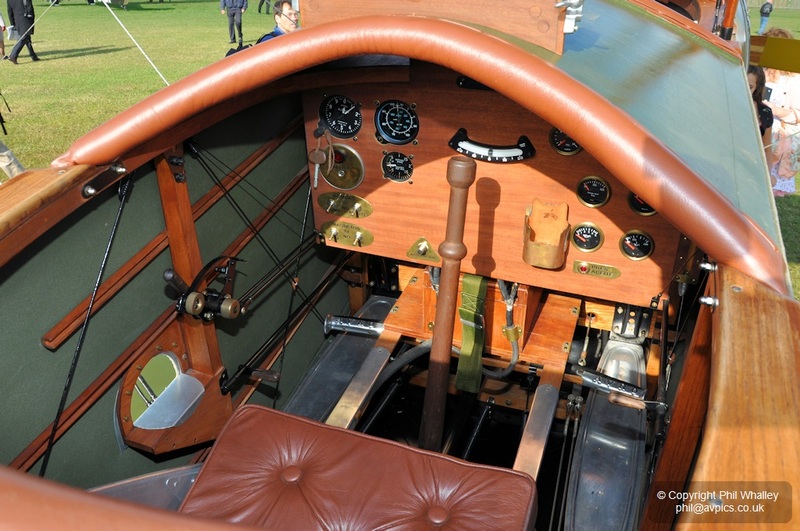 The original Avro 504 made its maiden flight on 18 September 1913 and the appearance of the example at Goodwood celebrated its centenary which was supported by British Aviation 100 – an initiative founded to celebrate the centenary of the first all-British flight by Sir Alliott Verdon-Roe in 1909. 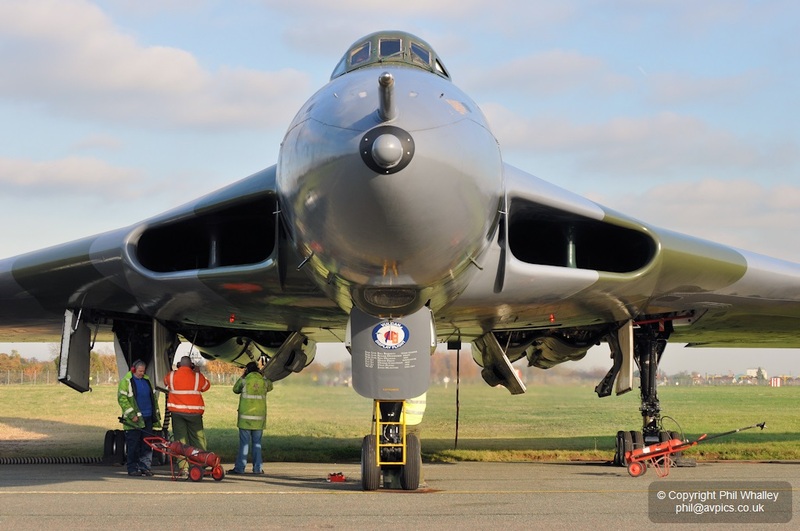 Eric Verdon-Roe – grandson of Alliott and Revival regular – is chairman of British Aviation 100, which has and will continue to celebrate anniversaries related to Avro through the rest of the century.